If one believes that in life nothing is permanent, then the constant changes in the science of SEO are just a fact of life. But for those who tend to get uncomfortable with things arcane, it's good to refresh yourself now and then. Managing your website's SEO in 2014 looks a little different than it did in 2004. Let's quickly trace how SEO has evolved. SEO has been traditionally broken down into on-page SEO (keywords) and off-page SEO (links). The more keywords and links, the better the search. I've had many discussions with people who wanted to permeate their websites with search terms and links, which at times challenged principles of grammar or the creation of a natural "voice." And with everyone adapting this attitude, one's Google ranking constantly fluctuated as competitors outworded or outlinked one another. Audience Focus - What people often overlooked was "their audience," i.e., providing full pages of content tailored to their audience's needs, and associating this content with compelling offers that would motivate visitors to register or in the case of a blog, share your content. Relevant Content - As the arbiter of value in today's websites, Google rates "relevancy" more than quantity of links or keywords. By making repeated, incremental modifications to your website over time, Google views these steady additions as relevant, hence your rank begins to rise. The use of Buyer Personas - Branding and marketing professionals have used "buyer personas" for some time and these are becoming more important for the creation of the more personalized web content your web visitors expect and which Google rewards. Relevancy: Will searchers find what they need on your site based on the keyword? Do your own Google search: Seeing who already ranks for your keyword will suggest how difficult it will be for you to rank. The presence of paid search that appears at top or right side of the page indicates the presence of a conversion-prone keyword. Consider a Google Adwords test: Test traffic by buying the keyword so that it appears on the first page of Google, and track impressions. Use the data collected to determine the value of each keyword. Understand "transactional" vs. "informational“ keywords. Use alternative tools like www.similarsites.com ormarketing.grader.com for competitor research. Look at data from Webmaster tools. Google Changes - Digging in a little deeper in his excellent Forbes article, "4 Changes Google Is Making And How They Affect Content Creation," John Hall explains the busy year Google had, trying to make Search more relevant. Foremost of the Google algorithm changes is "that you can no longer mine Google Analytics for keyword data, leaving website owners in the dark about what word searches were used to find or stumble upon their site." Google has done this to discourage those who keyword loaded their sites but were not necessarily the most authoritative resource on a subject. Content is key. Good content — clear, concise, informative — is better than bad content. Use plain English. Write for real people. Keep links to a reasonable number. 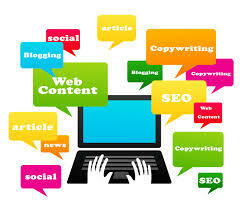 Make your content readable. Really, it all goes back to one idea: Create quality content, and you won’t have to worry about it riding the Google update rollercoaster. Tailor more unique content to your audience (personas). Create more educational content. The blog is most useful for this and social media for sharing. Make meaningful, incremental content updates, don't add content to "bulk-up" your site. Google ranks for relevancy to human beings, so go for quality, not quantity. Have clearly defined business goals greater than ranking for Google. HubSpot has additional resources; some of my content here is distilled from their e-book, "SEO- Past, Present and Future."